The Music Institute of Chicago is please to announce a new line of Spirit Wear. Look for displays in campus lobbies. 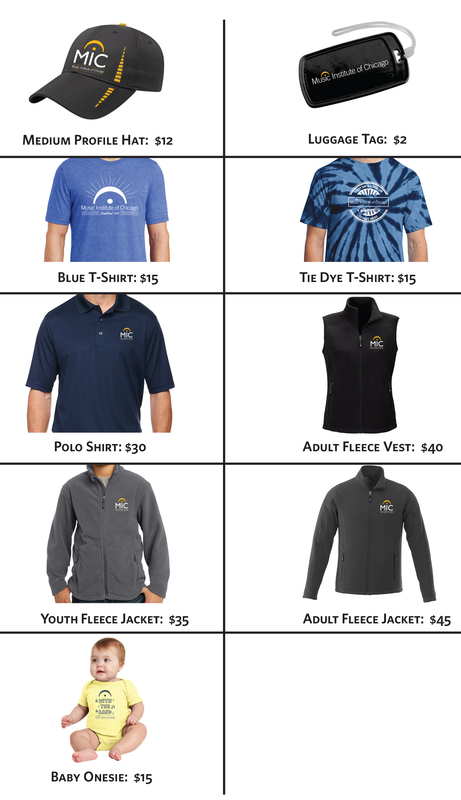 MIC will place orders twice yearly at the beginning of fall and spring semesters. Our first ordering deadline is just around the corner!